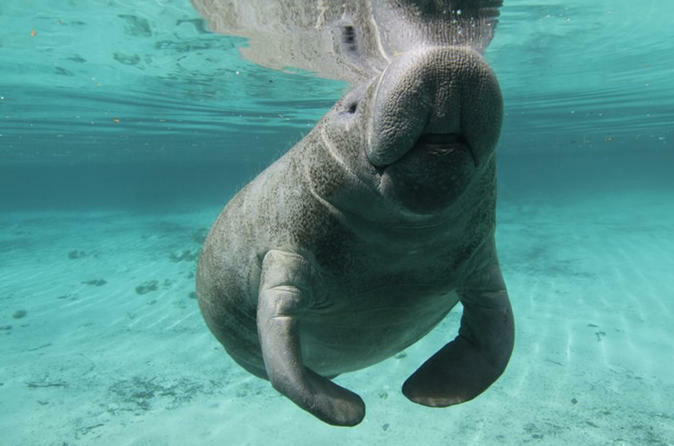 Join us for a two hour guided manatee swim tour on Kings Bay in Crystal River, and within the surrounding springs. A USCG Master Captain and certified guide will take you out on a USCG inspected and covered pontoon boat in search of the Florida manatee. Learn about wild manatee and snorkel with them in their natural environment. Don't forget your swim suits, towels, drinks & snacks. 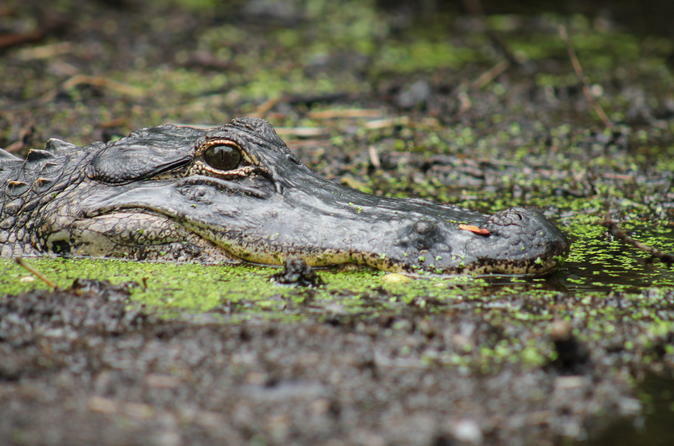 Take in all the sites of the Safari and the Gulf rides PLUS cruise the border of the Chassahowitzka National Wildlife Refuge for nearly 2 hours of pure joy! Saltwater sprays mix with the warmth of the sun and wind blowing through your hair! We will let you in on a secret! You can get the high-end experience, with an affordable price tag! 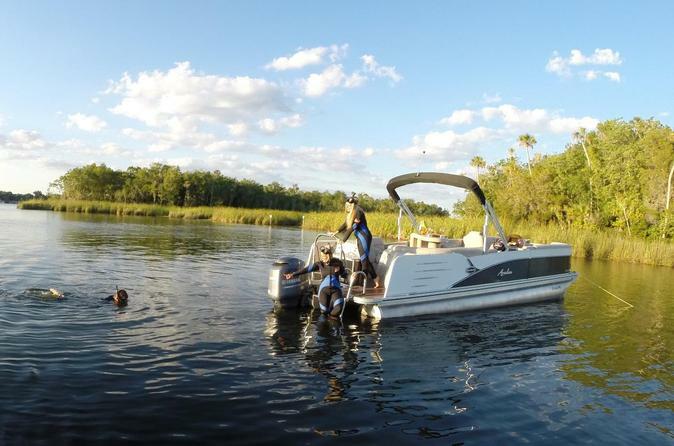 Our new heated (during winter), luxury pontoon aims to amp up the manatee encounter and deliver a more personal event! 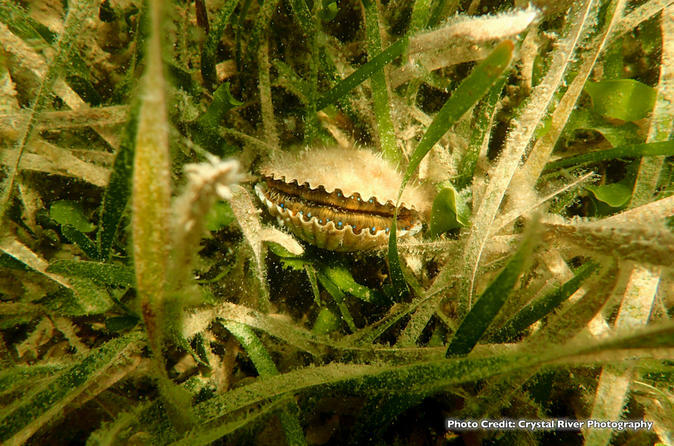 Encounter the endangered West Indian Manatee in Crystal River’s idyllic Kings Bay National Wildlife Refuge. 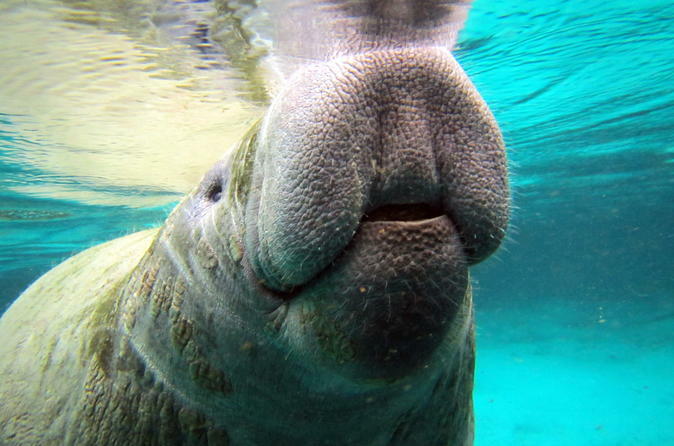 Your US Coast Guard licensed captains and guides will take you into the 600 acre spring fed refuge waters for viewing and snorkeling with these friendly, curious, slow moving gentle giants. All equipment, fees, snacks and beverages are included. 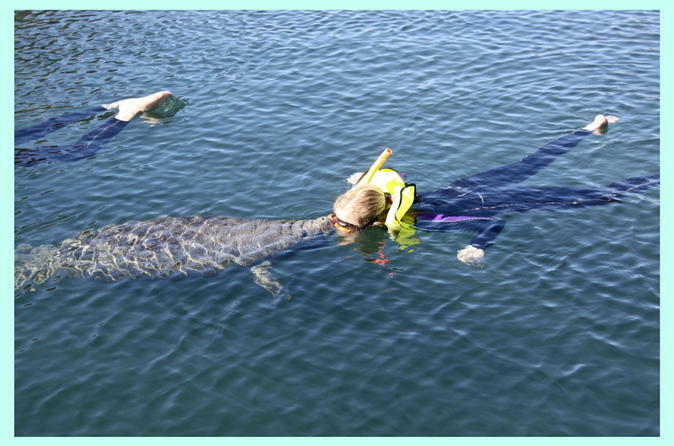 This private manatee snorkle tour may only be 3 hours, but the memories for your group will last a lifetime! Your very own USCG certified captain will embark with your private group to explore the refuge and get you up close with our ‘gentle giants’! 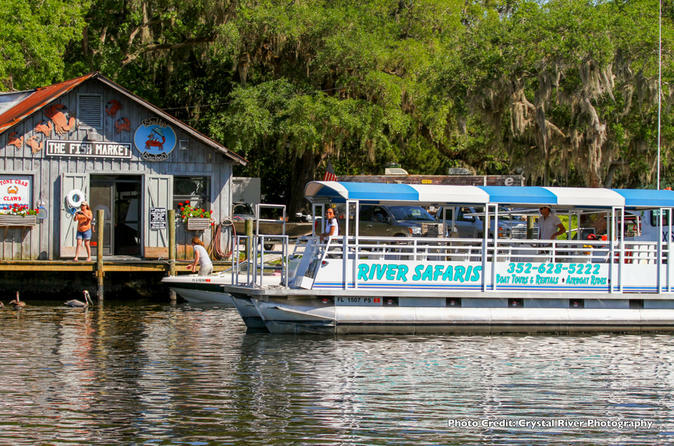 Our most popular ride takes you beyond the Safari and zooms through backwaters, estuaries and past the Historic Indian Shell Mounds. Feel your troubles slip away and keep your eyes peeled as we search for dolphins together! 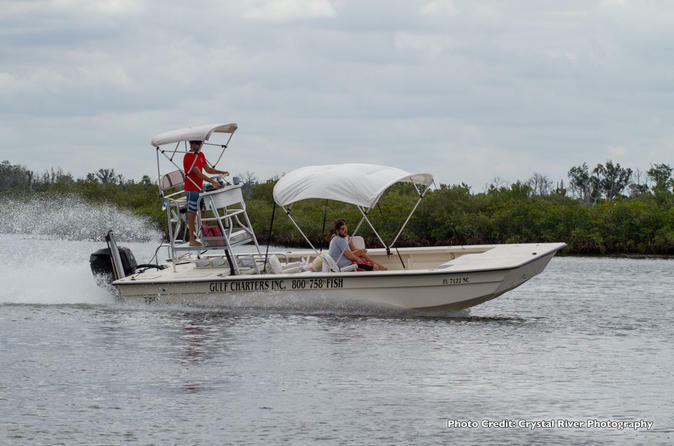 Take in all the sites of the Safari and the Gulf rides PLUS cruise the border of the Chassahowitzka National Wildlife Refuge for nearly 2 hours of pure joy! Saltwater sprays mix with the warmth of the sun and wind blowing through your hair. Our most popular ride takes you beyond the Safari and zooms through backwaters, estuaries and passed the Historic Indian shell. Feel your troubles slip away and keep your eyes peeled as we search for dolphins together! This one hour trip is the perfect introduction to air boating! Slide through palm covered canals, twist around mangrove covered islands and breathe in the salty air while nature dances around you! 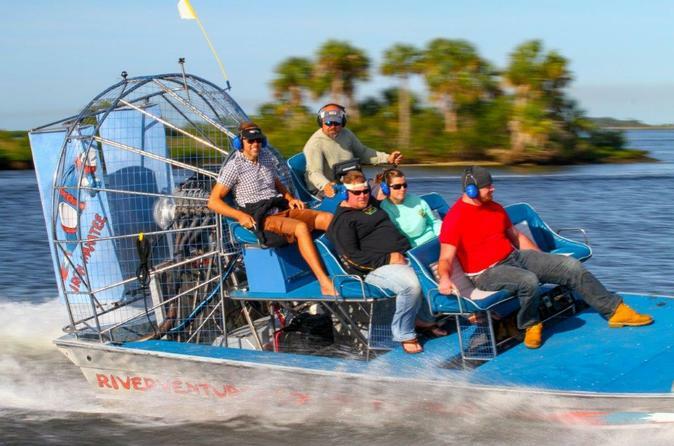 Our 60 airboat tours will take you through the most breathtaking scenery mother nature has to offer. Photo opportunities are around every corner of the spring fed creeks of the Withlacoochee River system. Enjoy a mixture of thrill rides and sightseeing tours as you glide along in the safest United States Coast Guard inspected vessels with our Licensed Captains.